The inspiration for the Cambria New Orleans derives from the colorful and eccentric vibe of the southern city. The lobby entrance features a playful and contemporary red rope lighting that plays up the spirit of Mardi Gras with rhythmically placed Mardi Gras beads. 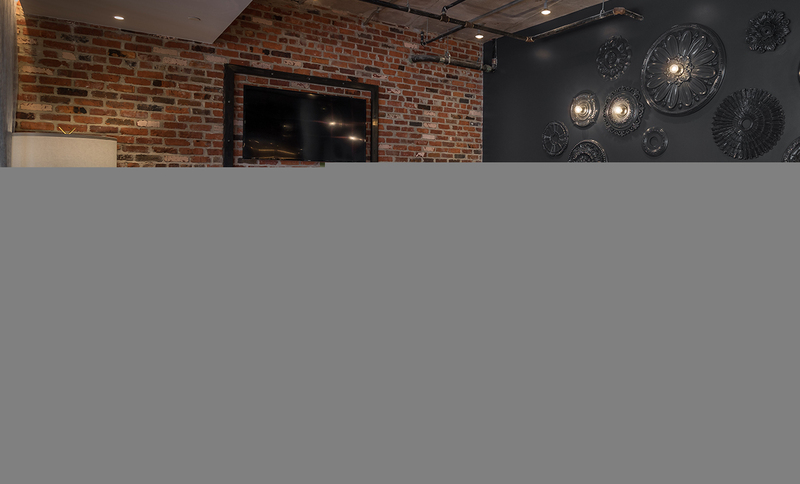 The lobby also highlights elements inspired by the French traditional style with the repurpose of vintage architectural rose medallions providing an illuminating art installation. 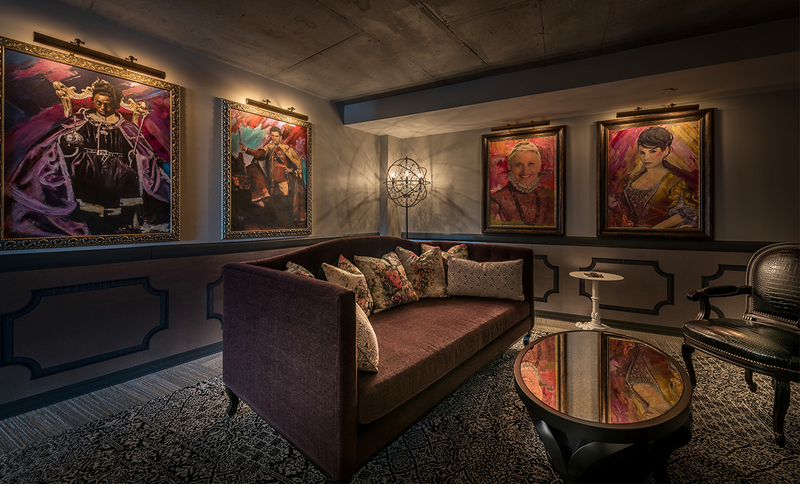 The property features abstracted photographs, as well as a sculpture made out of the brass instruments that serves as the focal point of the lobby space, and accentuates the properties location as the birthplace of jazz. 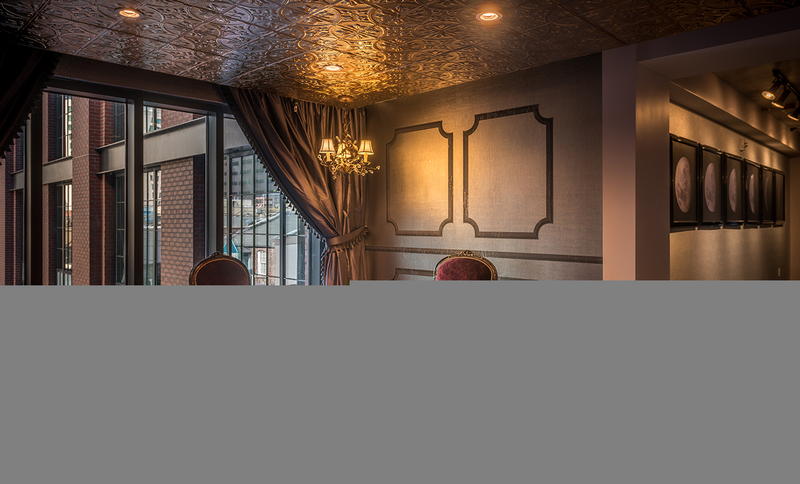 With exposed brick walls, a reclaimed wood bar, and antique inspired accessories, the New Orleans Cambria creates an eclectic yet authentic moody vibe that resonates with its surrounding neighborhood. 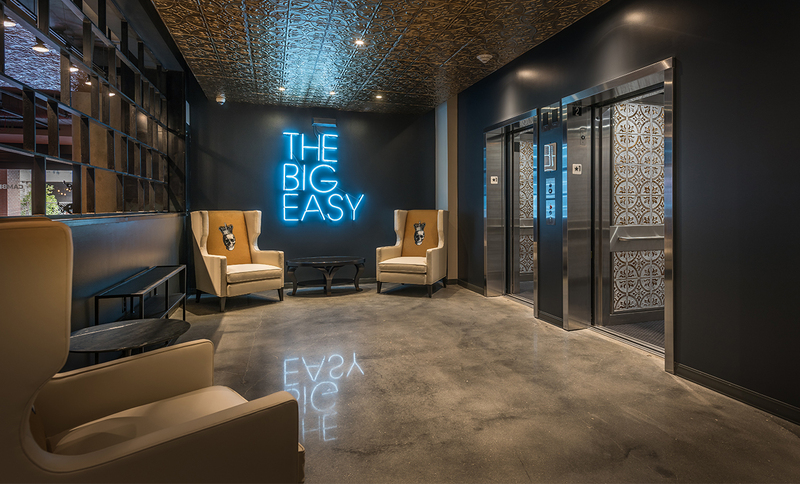 A classic neon sign located at the elevator lobby wall with the popular local saying “The Big Easy” serves as a tribute to the local easy-going way of life in NOLA. 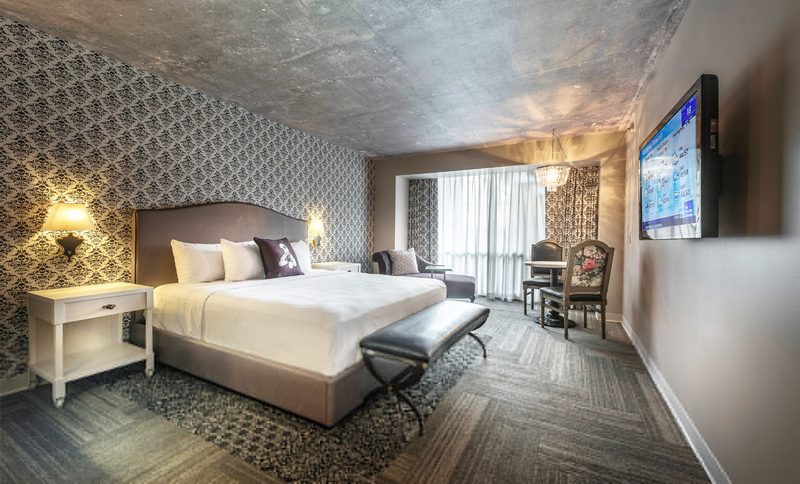 Inspired by the city’s historic ties to the practice of Voodoo, a custom skull toile was developed as a feature wall covering and drapery pattern throughout the guest rooms. The skull toile along with the French antique furniture and floral patterns paying homage to Historic New Orleans mansions, and the adjacent floral district.